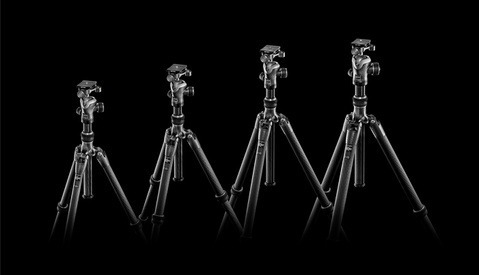 Tripods are one piece of gear you don't want to skimp on, as you want them to be as stable as possible and securely support all that very expensive gear that sits on top of them. 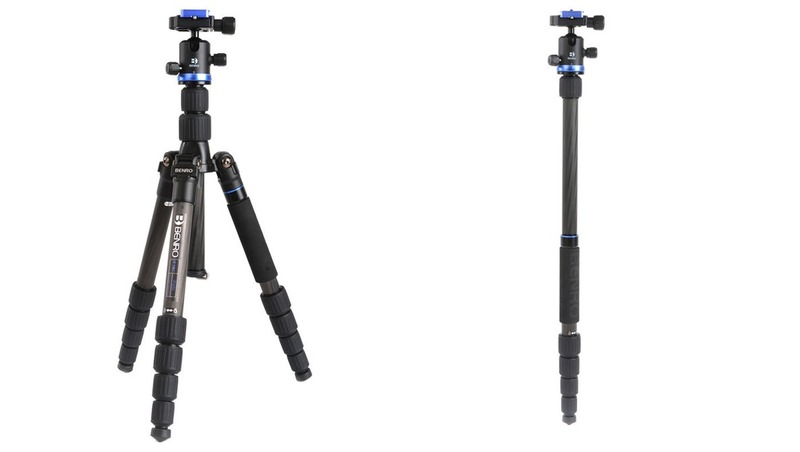 For the next 48 hours, you can get a carbon fiber tripod from our favorite brand for half off. 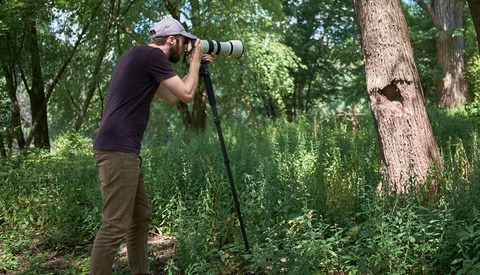 We pitted Benro tripods against some pretty expensive options from other brands, and we were majorly impressed by the quality-to-price ratio of the Benro, which makes this deal even better. 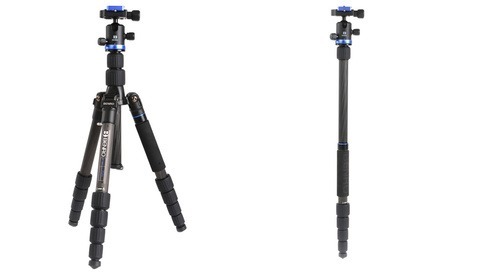 For the next two days, you can get the FIF19CIB0 Carbon Fiber Transfunctional iFoto Series 1 Tripod Kit (say that five times fast) for half off, bringing the price to $169. Being carbon fiber, it's very lightweight, tipping the scales at 3.1 lbs, making it a great travel companion. It extends to a maximum height of 57.7 inches, has a load capacity of 17.6 lbs, has five-sections legs with three angles (23, 55, and 80°), a detachable monopod leg, and comes with an IB0 ball head. It's a light, high quality, and affordable option that should offer a lot of versatility for almost any photographer. Get yours here. I'm starting to get into astrophotography and with my D500, wide angle lens, equatorial tracker and counterweight, the legs start to bow a bit. Does carbon fiber hold up better under the weight? If not, do you have any heavier duty tripods you would recommend for under $250? Depends on the focal length and weather. If you're shooting wide angles, pretty much any tripod will do. I rarely extend the legs beyond halfway to maintain rigidity. If you're shooting with longer lenses you'll need to be more rigid. I'll sometimes shoot sitting on the ground with the legs fully collapsed for maximum stability. You can also bring an empty photo weight bag or reasonable alternative you can fill up with dirt, sand, or rocks and use it to weigh down the tripod. Just be wary of maximum load capacity of the tripod. I'd look at a proper telescope legs for that purpose, especially since you're putting telescope gear on top anyway (and eventually a telescope too if you're getting more ambitious). I would not use the legs pictured above (or any of the myriad variants sold under different brands) for astro, even the mirror of a D750 can shake those. (edit) To be clear, they're adorably great legs for general mobility and hiking, but not for long-time stabiity. This is a nice deal. I have been looking at Benro TSL08CN00 Slim Carbon-Fiber Tripod with Ball Head. It is 1.1lb less and $20 less than this tripod on sale ($139). However it has lower load capacity and is 2" more folded. For travel that would involve backpacking, which would you recommend? I am interested in landscape and astro photography. My kit includes d750 and 3-4 lenses varying from 12mm - 200mm. I have a Benro with much higher load capacity (35lb), but it's not suitable for backpacking, so looking for something specialized. I'm interested in this too. A9 with a 24-105, wondering if this would be fine for travel landscape work. I just got a Feisol tripod for hiking. It is carbon fiber, folds down tight (18"), is light, and is tall enough for me (I am 6'4"). I would recommend it for you to consider. This article borders on the line of paid advertisement. I'm sure it's your favorite. Right behind your Gitzo. If you clicked the link in the article above, you'd see that Benro came out on top when reviewed against a Gitzo, RRS, and Induro. So your response is that fstoppers made a review with Benro on top even though a majority of professionals and other reviewers pick Gitzo or RRS (which you brought up, not me). You only strengthen my point. One way to end the debate, declare that you are not paid by Benro to advertise. We’re not paid by Benro to advertise. Debate over.